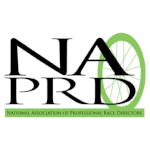 On-line pre-registration for the professional and amateur races is now open. After you do register, you will receive a confirmation e-mail. You can also view registrations (select: View Registrations & Race Predictor). The day will begin at 7:00am with the Armed Forces Cycling Classic Challenge Ride, which offers a closed course open to cycling enthusiasts of all abilities, from casual amateur to serious racer. All riders must be off the course by 10am. The amateurs kick the day’s racing. The Women’s pro/am race will be held immediately following the amateur race. The Kids races will be held after that, followed by the Men’s Pro race. The Armed Forces Cycling Classic’s Clarendon Cup is now in it’s 22nd year, the Washington DC region’s premier Pro/Am races since 1998. Each race showcases a form of cycling involving a series of high-speed bike races that take place on a 1km course on city streets. The Clarendon Cup is known as one of the most difficult criterium races in the U.S. due to technical demands of the course and the quality of the participants. The day starts at 8:00 am with various amateur races, followed by the women's Pro/Am race at 10:00am. Beginning at approximately 11:30am, we feature Kids races — free for children between the ages of 9 and under – setting the stage for our last race of the day, The Clarendon Cup Pro/1 Men’s Invitational. Beginning at approximately 12:05pm, the Men's Pro Teams begin to roll out to race 100 laps (100km)! We guarantee an exciting finish as they race to be crowned winner of this prestigious event. PLEASE NOTE: USA Cycling Waivers need to be signed by all riders prior to receiving packets - No EXCEPTIONS!! NOTE: Vehicle access is limited. We recommend taking the metro or riding your bike.